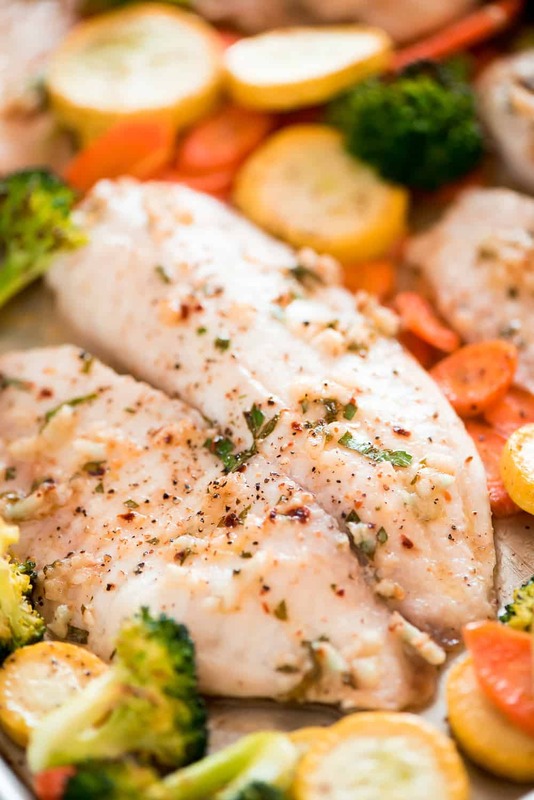 Baked Tilapia and Roasted Veggies is a low calorie and high protein dish that comes together in less than 25 minutes! 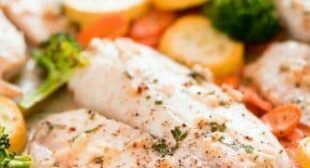 Tilapia is pretty mild so you’ll start out with making a tasty marinade made up of oil, lemon or lime juice, spices, and fresh or dried herbs. 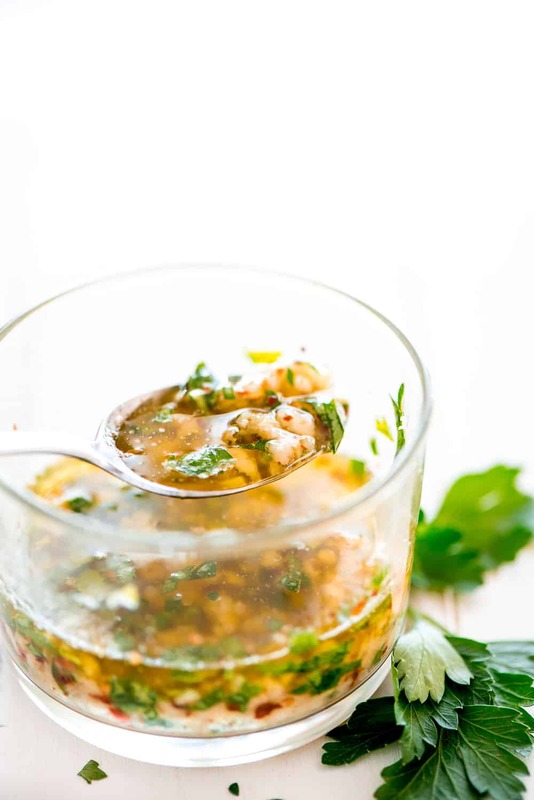 This recipe is has more of an Italian flavored marinade. Brush the marinade on both sides of each fillet. Apply desired amount of salt and pepper as well. 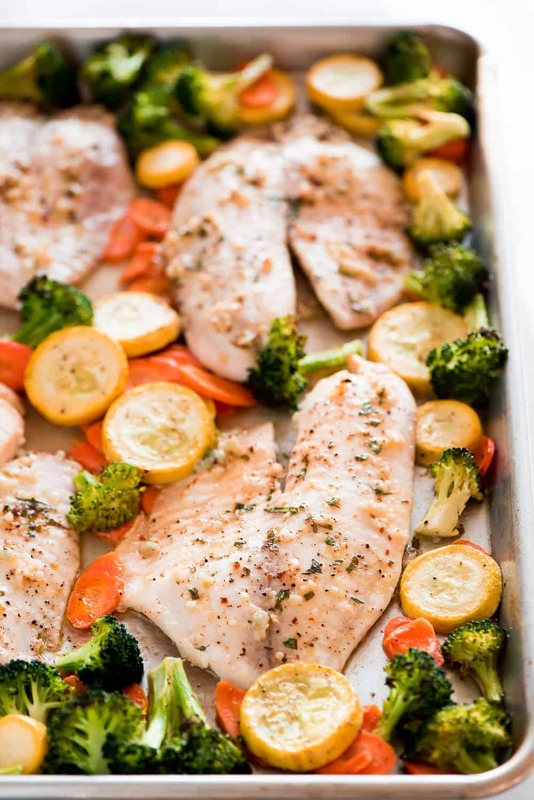 Place the tilapia on a pan and bake at 400 degrees F for 12-15 minutes or until the internal temperature is 145 degrees F and flakes easily but is not dry. It should still be very moist. Yes! 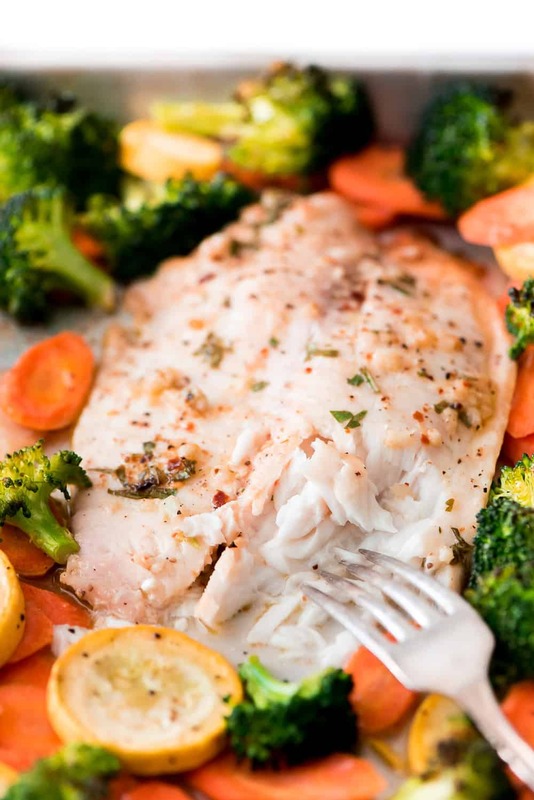 I love making this on Sundays and putting one piece of Tilapia with a cup of vegetables for 4 days. 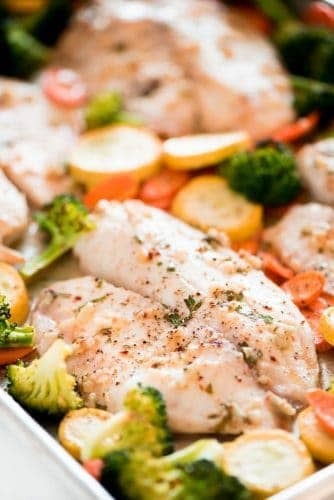 It is a great go-to meal and lasts in the refrigerator for those 4 days. 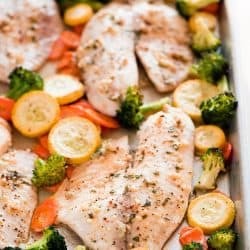 To warm them up, I just use a microwaveable safe dish and heat for 2 minutes then turning the tilapia and stirring the vegetables. Heating for another 1 to 2 minutes until it is warm. 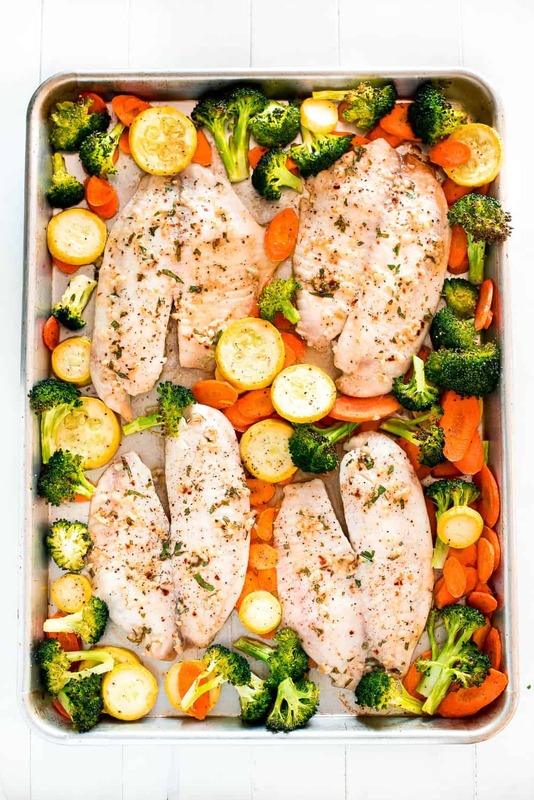 If you are looking to reheat it in the oven, I recommend placing in an oven safe dish and preheating the oven to 350 degrees Fahrenheit and baking for about 8-10 minutes.